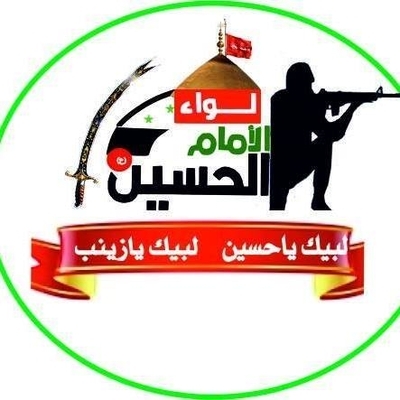 Liwa al-Imam al-Hussein (The Imam al-Hussein Brigade) is one of the Iraqi-led groups established in the Damascus area during the Syrian civil war, fighting on the side of the Syrian government. Currently affiliated with the Syrian army's 4th Division, it has a special Syrian wing called the Death Battalion. For further discussion on Liwa al-Imam al-Hussein, I interviewed the commander of the Death Battalion- Abu Ali al-Assad, who is originally from the village of Nubl in north Aleppo countryside. In the wider picture, Abu Ali al-Assad and his contingent fall within a larger group of contingents of Liwa al-Imam al-Hussein led by Ali al-Musawi (Sayyid Ali al-Karbala'i), who oversees both Iraqis and Syrians in his contingents that are sometimes all called the 'Death Battalion' in Liwa al-Imam al-Hussein's social media output. The overall commander of Liwa al-Imam al-Hussein is As'ad al-Bahadali. Any parenthetical insertions in square brackets are my own. Q: First when was Liwa al-Imam al-Hussein formed and what is its origin exactly? Were its leaders in Liwa Abu al-Fadl al-Abbas originally? A: Dear sir, Liwa al-Imam al-Hussein was established by the martyr Sheikh Amjad al-Bahadali. There is no link to Liwa Abu al-Fadl [al-Abbas], but they are all our brothers and in the same trench. Q: Sheikh Amjad al-Bahadali (may God have mercy on him) was living in Syria before the crisis? Q: In what areas has the brigade fought and how many martyrs has it offered? A: We have fought in al-Mo'adhamiya, al-Mleha, Darayya, al-Darkhabiya, Khan al-Shih, Wadi Barada, al-Qabwan, Harasta, al-Hajar al-Aswad, Yarmouk, Deraa and now Idlib. We have fought in a number of areas in East and West Ghouta. And we have offered in every region martyrs and wounded. Q: But the number of martyrs is not known exactly? A: Around 40 martyrs, among them commanders. Q: Did the Islamic Resistance- Hezbollah and the Iranian friends [allies] help you in matters of arming, training and financial matters? A: They all offered help but we in Liwa al-Imam al-Hussein (ع), our support is from the Syrian command- the 4th Division. Q: When did the brigade become affiliated with the 4th Division? And what does that mean exactly? A: From 2012, a contingent of the brigade was formed and it was armed by the 4th Division. And later they worked with the 4th Division in the form of all the personnel present in the brigade. Q: Yes, so the salaries, arming and training are currently from the 4th Division. Q: When was the Death Battalion formed? A: 2013. The Death Battalion was formed under the supervision of the brigade. Q: And it is the Syrian wing of the brigade? Q: The Syrian fighters are from multiple regions and all sects? Q: The one who joins the Death Battalion and serves in it, this is tantamount to compulsory military service? A: Yes, there is this thing among us: most of the youth are reckoned upon compulsory military service. Q: Yes. So they joined on the basis that service in the battalion is tantamount to compulsory military service. A: No. But the leadership in the 4th Division brought out this decision and it has been implemented. Q: How do you assess the situation in Syria today generally? Q: But why haven't the Idlib liberation operations begun until now? A: It is possible that there is an alternative solution to a battle. But in the end Idlib will be liberated by any means. (Update 3 April 2019): Clarification inserted in the introduction on sub-groupings of Liwa al-Imam al-Hussein. Thanks to the security director of Liwa al-Imam al-Hussein for the clarification.